Luke really ought to change his initials to B.S. I mean seriously, this guy can smooth talk crap like his brain has downloaded a copy of the internet—and maybe it has. For someone who can't stand small talk, you wouldn't guess it the way he can chat with acquaintances or strangers as if he's fully engaged in the topic and knows exactly what they are talking about. And maybe I shouldn't be shedding light on his little secret, but it's too funny to pass up. Now I'm not trying to say he is a know-it-all. He tells me nearly every day how much there is that he doesn't know, how much he has to learn. And he loves to learn. He can skim through a 500 page nonfiction book and soak up the knowledge like a proverbial sponge. More more more, he can't get enough. He's the five-year-old boy still asking questions every minute. What I'm talking about is his uncanny ability to appear as if he knows what he's talking about in his nice-guy manner of carrying on a polite conversation that leaves the other party smiling. Here's the latest example that had me laughing through the whole exchange. We went on a trip for Thanksgiving break and naturally had to fuel the car many times while on the road to and from relatives' houses. Our journey took us through Oregon, where you have to wait on someone else to pump gas. Luke got out of the car from habit and thus handed his debit card to the attendant right by the gas pump. Being face-to-face while the fuel ran seemed to require chit chat, but instead of the awkward question/answer session that often occurs at the hair dressers—So what do you do? Do you have kids? Have you lived here all your life?—the attendant took the opportunity to share his love of the Broncos with Luke. 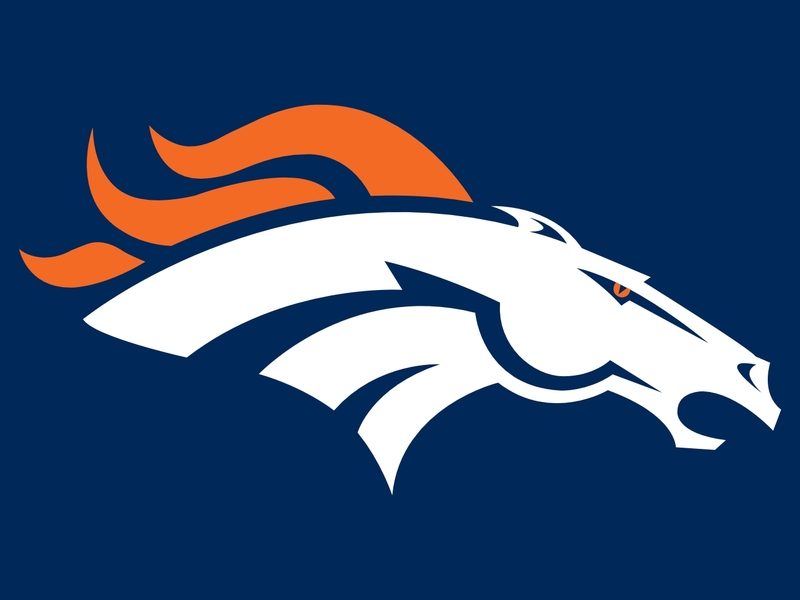 See, Luke happens to have the Denver Broncos symbol emblazoned on his debit card. As soon as I heard the man ask, "So, did you catch that last game?" I knew I was in for a good eavesdrop. What followed sounded like two fans talking up their football heroes and lamenting their ill treatment or revered actions. Luke even threw in a little tale of his family members who were Cowboys and Dolphins' fans making fun of him for liking the Broncos. Oh my Luke. BS to the max. He got back in the car and I started teasing him, but he just gave me a huge grin. He gets a kick out of his little secret. The truth is, the only football my husband is interested in, maybe just a little, is the Boise State Broncos, who just happen to share colors and mascot with the professional team. But he's lived in Boise for years and has never attended one of their games! Rather than explain which team he actually likes, he just goes with the assumption that he's a Denver fan. Does he have a clue what the pros are even up to? Not a one. If you're curious to try and stump him on a topic perhaps in a future conversation discuss embroidery. No, don't do that. His mom knows that topic left and right and Luke could probably BS that one no problem.